Although many people think of crunches and sit ups as the go-to exercises for your abs and back, there are a lot of other really good ways to work your core, without any added strain on your neck. Here are some fabulous exercises to add to your no-crunch ab workout that will also tone and strengthen your back muscles. Two moves for the price of one? Count us in! Medicine ball movements also make great additions to your no-crunch ab workout. This simple piece of equipment allows you to perform a lot of different exercises. If you have a padded ball, do ball slams to train your abs and lats while getting out a little aggression and having fun. You can also try doing medicine ball planks, which are great abdominal exercises that really challenge your balance and build your core stability. 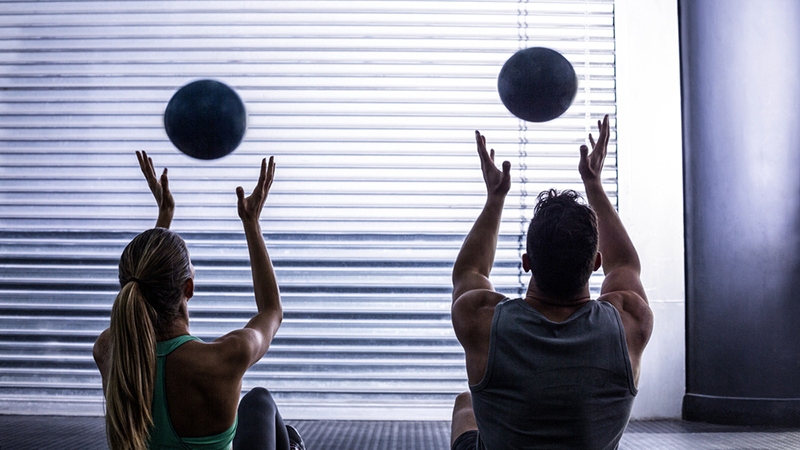 If you have a partner, try doing some rotational medicine ball throws or sit-up medicine ball throws. These are both great exercises for abs and back strengthening, and they can be a ton of fun, too. Planks are truly wonderful. Although people often think of them as abdominal exercises first and foremost, they work multiple muscle groups, including your arms, shoulders and back muscles. Because of this, and because they don’t involve the same bending as crunches, they can sometimes be good exercises for back pain sufferers. Planks may also be able to help improve your posture and increase your flexibility. Begin with a basic elbow plank, and gradually increase the time that you spend in this position. As you progress, you can try to add in plank variations to further test your balance and strength. 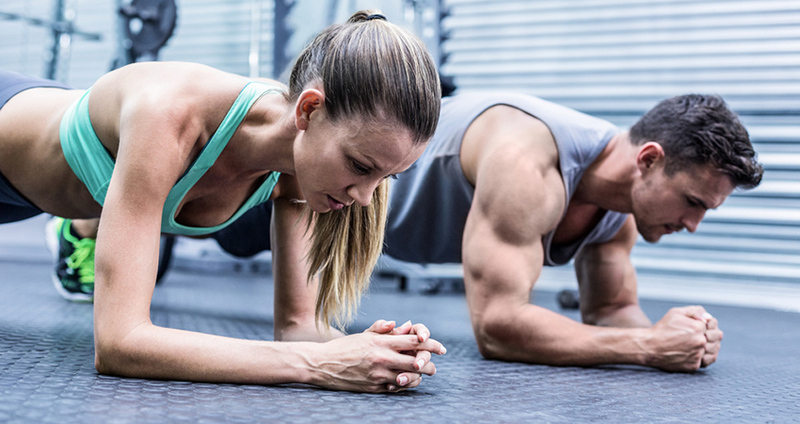 You can try uneven planks where you rest one elbow on the ground but support your other side with your hand (imagine a position similar to the bottom of a pushup). You can raise an arm or a leg, or you can try side planks to get at other core muscles. Loaded carry exercises are exactly what they sound like. You pick up heavy things and carry them while you walk. A loaded carry is great for your core, but it also works your grip strength, your legs and more. 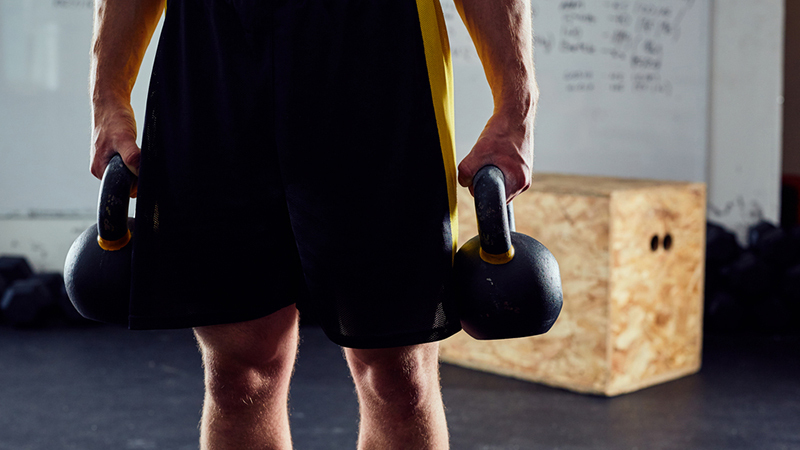 You can carry dumbbells, weight plates, kettlebells or pretty much anything that’s heavy enough to be challenging for you. There are a number of different ways to perform a loaded carry, and they can all help target various muscles. In a traditional farmer’s carry, you’ll carry two equivalent objects in each hand at the sides of your body. In a suitcase carry, you’ll carry a weight in only one hand at your side. In the waiter’s carry, you’ll carry a weight in one arm above your head. When performing asymmetrical carries, make sure to complete reps on both sides. As you perform these exercises, don’t shrug your shoulders upward. Instead, keep your shoulders back. As you walk, keep your core tight, and don’t sway back and forth as you walk. Go slowly and keep everything controlled. Still want more no-crunch exercises for six-pack abs? Well, the next group of abdominal exercises are incredibly versatile. You’ve probably seen cable machines at your local gym, but you may not know all of the ways that you can use them to do exercises for abs and back strengthening. If you place the cable high enough, and pull it down and across your body, you can perform wood chops to work your rectus abdominus and obliques. If you place the cable low and pull it up and across your body, you can do standing cable lifts to work the muscles in a different way. You can also do cable rotations, judo flips, Russian twists, cable crunches, kneeling cable crunches, reverse crunches, one-arm high-pulley cable side bends and much more. When you really learn your way around a cable machine, there’s almost no limit to the exercises for your abs and back that you can do. Ab wheel rollouts are a great addition to your no-crunch ab workout, especially if you’re trying to strengthen your back at the same time. Kneel on the ground and hold the ab wheel in your hands. Place it on the ground directly under your shoulders. Tighten your core, then roll forward until your core feels like you might lose tension. Before your form breaks, stop and roll yourself back up. If you have a pull-up bar, dip station, or vertical knee raise station, you can work your abs with knee or leg raises. Alternately, you can practice a different sort of leg raises by lying on the ground on your back with something sturdy to support you. Grab your support above your head, then lift your legs straight up into the air and lower them, keeping your abs tight. These multi-purpose exercises target several muscles all at once, including arms, shoulders, and yes, your back muscles as well.